Johannes Schmoelling has developed a reputation as the guru of electronic concept albums. Born in Lohne, Germany in 1950, he began playing the piano at age of eight. By age twelve he had developed a fascination with the pipe organ, and within two years had mastered the instrument to such a level that he began to play professionally in various churches. After graduating college in 1978 with a degree in sound engineering, Schmoelling began doing work for live theatrical performances at Berlin's famous Schaub?hne am Halleschen Ufer, allowing him to combine his technical and musical interests. In 1979 Schmoelling met Edgar Froese, and joined with him and Christoph Franke to reestablish the trio status of Tangerine Dream. Schmoelling debuted on TD's Tangram in 1980, and spent the next five years recording and touring with the group. Over that time span the trio released several landmark albums including Exit and Logos Live, as well as a series of film soundtracks such as Thief, Risky Business and Legend. In 1986 Schmoelling left the group to pursue a solo career. 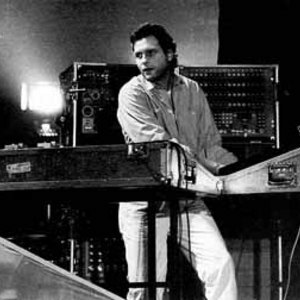 His first solo album Wuivend Riet in 1987 established a new direction for Schmoelling, a unique sound of electronic-based thematic works arranged in natural sonic environments. His follow-up albums continued in that vein, leading up to his most recent release Songs No Words in 1995. Since 1995 up to now Johannes does the soundtrack music for the German TV-series "Ein starkes Team" ("A strong team"). 1998 saw the re-release of his long sought after record The Zoo Of Tranquility in a re-recorded and remixed version, including additional new tracks. And in the end of the same year Johannes Schmoelling got his very own official website on the internet. In 2000 he founded his own label Viktoriapark records on which the long deleted album White Out saw its rerelease. During the following years Johannes finished work on the second release on the label, Laufen, a radio play, besides working on several soundtrack music for television. During 2003 his new release Recycle Or Die took shape and saw its release on Johannes birthday, November 9th. Member of Tangerine Dream during probably their most productive period 1980 - 1985. Latterly has recorded some impressive solo albums of his own. Originally trained as a sound engineer in a theatre, he has recently released new pieces.